Pure7 Chocolate is fortunate to have had Michael as our National Sales Manager for the past 9 months. His great networking skills and connections within the Natural Market have been invaluable in the growth of our company. Michael is creative with an entrepreneurial spirit who seeks out, builds and nurtures business relationships with an eye on future opportunities. He’s a strong leader who inspires and empowers team members to achieve a common goal successfully. He works in a structured manner but can thrive in ambiguity. Michael does not shy away from rolling up his sleeves, slicing and dicing massive sets of information, and creating solutions to problems that have not yet been tackled yet. He motivates and communicates effectively leading the national and regional initiatives with our distributors and brokers. Pure7 Chocolate is lucky to have Michael as one of our trusted partners! I recently started working with Mike as our company advisor and mentor. Since starting with Mike, our Natural Sins sales distribution has more than doubled, he has increased our sales efficiency by creating a custom made tool box for our broker reps and a comprehensive marketing plan for our brand. Through his network of industry contacts, he has truly accelerated our sales growth. He is very knowledgeable, experienced and is always available to help and teach. Thanks Mike! Michael is invaluable for an emerging or growing brand - his expertise with building sales strategies, resolving issues with distributors, connecting to chains and channels, building PPT presentations and new item forms has been superlative. If you are an emerging brand - you need him! Mike Marrotte’s guidance has been invaluable in helping us move Sweet’tauk from a successful artisanal startup into the beverage business. Even more valuable than his extensive experience and contacts in the industry is the perspective and guidance he provides. We have learned that execution is everything and Mike has worked closely with us to develop and execute our plans. I truly believe that we would not be where we are today and have the opportunities we now do without him. Add to everything else that he is always a pleasure to work with and always sees the bright side. We are looking forward to continuing a long and mutually beneficial relationship with Michael at our side. Few people have the opportunity to work with a Consultant who becomes their coach and mentor—but that is exactly what Mike Marrotte has done. Mike came on board in January of this year, and has since successfully negotiated several tremendously valuable contracts, which we hadn’t succeeded in doing to date. Mike is not only vastly knowledgeable about the intricacies of the CPG industry, he is very well connected and perhaps more importantly, extremely well liked among his peers. Mike has opened more doors for us in the four months he has been on board than we opened in the three years prior with multiple other consultants. Mike is completely committed to the success of his clients. From his first day on board he has counseled and guided us, there wasn’t a minute of ramp-up time. While he bears the title of National Sales Manager, it is fair to say he is acting as our CEO, and even COO at times. As a small company, with limited understanding as to how the industry works behind the scenes, Mike’s expertise is priceless. Mike Marrotte is consistently two steps ahead of the rest of us. As a consultant in driving sales, or as interim CEO, he earns my highest recommendation. Mike Marrotte was an invaluable resource to me and Skeeter Nut Free as we built our business. In addition to being a pleasure to work with, Mike has a deep knowledge of the CPG industry and natural products market. Mike’s advice and counsel were essential to us in launching and growing our business. In addition, he is the rarest of consultants who is committed not only to supporting the business, but also to training his clients so that, through his guidance, they grow their knowledge, skills and ability to manage their business. Through Mike's relationships and well developed customer connections, he was instrumental in the signing of our first nationwide distributor deal and a national agreement with a well-known and respected sales broker. He works closely with me to develop effective strategic plans, align company goals and he reviews and tracks overall sales performance. He is very knowledgeable about the natural/organic/specialty foods business sector and has helped me to make more informed business decisions. One of the more important roles that Mike brings to our company is the supervision, teaching and mentoring of our younger, less experienced team members. Mike is our secret heat-seeking missile! In the short time that he’s been consulting with us, he’s demonstrated his unparalleled knowledge of and contacts within the natural food industry and his slam dunk sales and business management prowess. And he does it with charm, integrity, dedication and a smile every time! We’re very lucky to have him on the team. 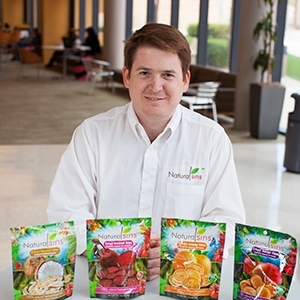 Mike is a true expert in the natural foods industry. He has deep insight into the sales, marketing, and general business requirements and dynamics of that market. He combines that with high integrity, a very personable style, and commitment to results. His positive energy is infectious. He is both a great business leader and a great person. We’ve recently been working with Mike to help with our business expansion. He was not only extremely knowledgeable and professional, but a joy to work with. His diverse knowledge is a rare find! Mike is truly one of the best in the industry and I believe a perfect fit to help emerging, high growth brand companies take their business to the next level. I have known Mike for 8+ years and have always enjoyed my interactions with him and trusted him completely. I can personally vouch for Mike Marrotte as one of the most honest, trustworthy, effective, and knowledgeable managers in the industry. Mike has significant experience in the grocery industry as a manufacturer, retailer, distributor and as a strategic business advisor. He has been successful recently, assisting several early stage natural food manufacturers to develop both a short term and longer term business plan for their companies and to jumpstart business growth. He has extremely strong relationships at United Natural Foods and has experience in both the grocery and natural product channels. He knows all of the key brokers in the natural foods industry and can help manufacturers determine the best time to start working with a broker, to ask the right questions during the interview process and to help select the best broker to align with the manufacturer goals and objectives. I’ve known Mike for many years as a very professional and knowledgeable executive with a great vision. From roles that he held with Ahold USA (BI-LO), to his position at UNFI as the VP of Sales. Mike’s ability to lead and motivate has always inspired me as I’ve personally seen him manage his team, present to them and build a reputation and platform for growth. Mike’s ability to connect with those he leads as well as his customers is superior. He has a genuine approach, but well thought out and articulated. His financial analysis, and ability to foresee changes sets him apart. Mike has deep knowledge of a variety of consumer packaged goods and the marketing position required to bring a brand to market. He has forged strong relationships with key brokers, manufacturers, and all his customers. All of which enables him to be a trusted advisor, visionary and partner in the food industry.